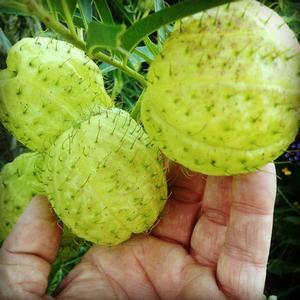 Elongated 2 1/2" balloon-like pale green pods covered with spiky hairs distinguish this milkweed with narrow, pointed foiliage and pretty, creamy white blooms in late summer. Fabulous cut for interest and texture, fresh or dried. From South Africa.